Governor Gary Herbert capped the 2016 Utah legislative session by signing various bills into law late last month. Some of the bills that were approved will have a direct impact on Salt Lake Community College. 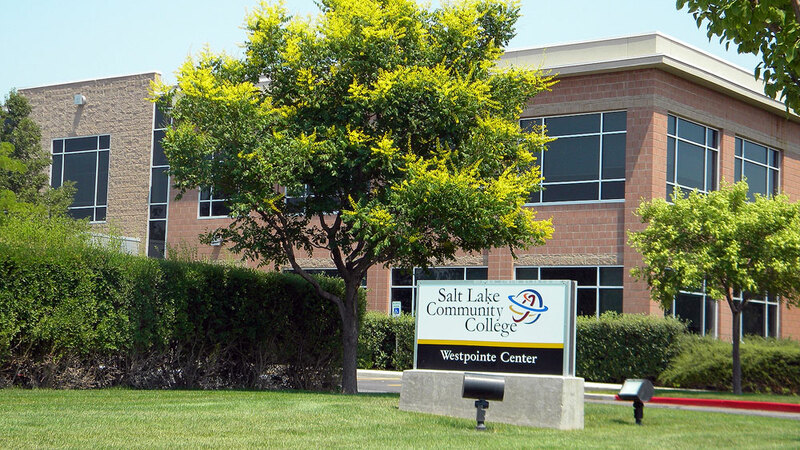 Item 35 in HB 002 — the New Fiscal Year Supplemental Appropriations Act sponsored by Rep. Dean Snapei and Sen. Lyle Hillyard — appropriates $42.5 million for the planning, design and construction of a new Career and Technology Education center at the SLCC Westpointe campus. “The new center at Westpointe will benefit the community … including [local] employers who depend on the college to educate and train future employees,” says SLCC Vice President of Government Affairs, Tim Sheehan. According to Sheehan, the groundbreaking will occur around June of this year. Gov. Herbert also signed HB 254, the Resident Student Tuition Amendments sponsored by Rep. Marie Poulson and Sen. Peter Knudson. The amendments allow Utah System of Higher Education (USHE) institutions to award resident tuition to military personnel and their immediate family who are assigned out of state but maintain a residence within the state of Utah. Lawmakers authorized a 2 percent wage increase and a 7.3 percent increase in benefits for state employees, which include staff and faculty who work in higher education. The Utah Board of Regents approved a 3.7 percent tuition increase for students, which is the second-lowest increase issued in 17 years. According to USHE, tuition rates in Utah’s public colleges are among the lowest in the west and Utah has the third-lowest average tuition rates in the nation. “[The goal] is to contribute to the community of Salt Lake by continuing to keep college affordable by keeping tuition low,” says Sheehan. Sheehan adds that other monies were appropriated to the college but SLCC is still developing the budget for the year and will be published later on.